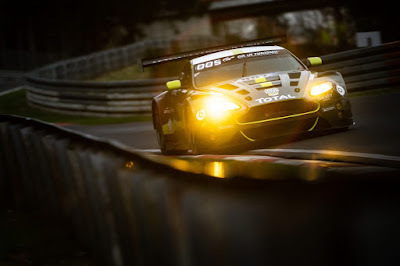 After their year sabbatical from the ADAC 24H race in the top flight GT3 (SP9) class last year, Aston Martin Racing returned to the infamous Nordschleife circuit at the weekend for the preparatory work towards a full works assault on the toughest GT race in the world later in May. Arriving with their slightly modified V12 Vantage GT3 for yesterdays six hour qualifying race, the beautifully liveried Sterling Green and lime #007 would allow WEC drivers Darren Turner, Marco Sorensen, Nicki Thiim and most recent recruit Maxime Martin to drive this iteration of GT3 in its last factory entered 24 hour race come the race in May. 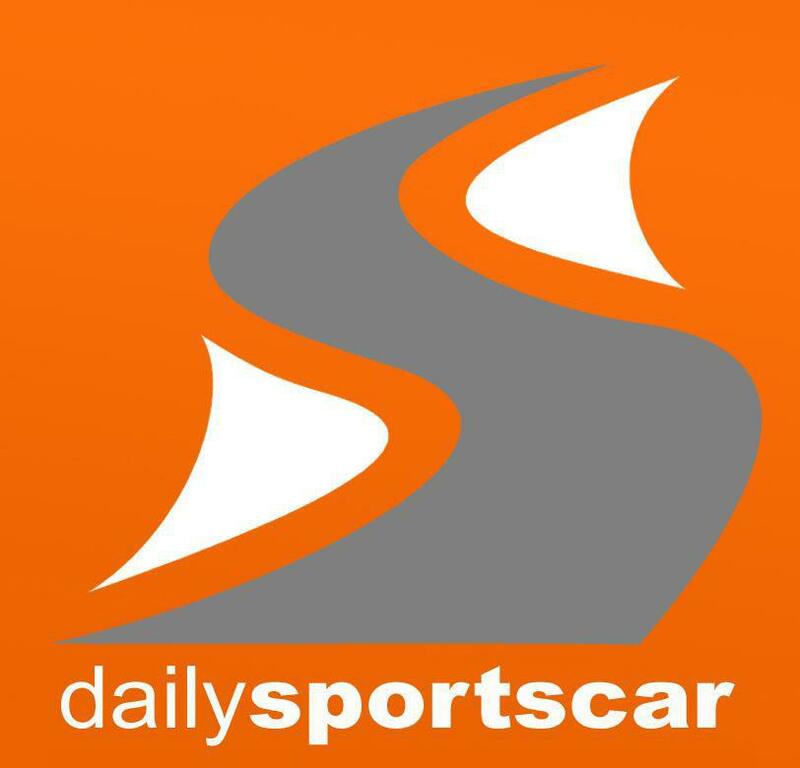 Progress was steady for the #007 car finishing 20th overall (19th in class) at the end of the Free Practice session on Saturday with a best lap time of just over 8:27:00. That improved significantly over the two Qualifying sessions (Saturday afternoon and Saturday night) as the team pushed to deliver a new best overall time of 8:17:675 to 'qualify' for the Qualifying Races' Top 30 Qualifying! Taking things 'steady' for Sunday's Top 30 shoot out (nearly 17 seconds down on the pole setting Audi kind of steady) placed the car at the front of the grid in P8 ready for the near late morning start of the race with Martin taking the start for the team. 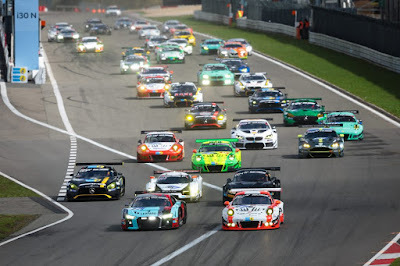 With the emphasis being on getting the car home in a good top 15 position rather than fighting for any accolades from the Qualifying Race itself, the #007 would ultimately finish its six hour return to the Green Hell in 5th place overall (4th in class), on the lead lap and just twenty five seconds down to the race winning Mercedes AND having competed for a top three position for a large part of the race as well. For the team, that was the most important factor taken from the weekend, that the venerable V12 Vantage could still have the potential of upsetting the German manufacturers on their home turf should circumstance (and a large slice of luck) go their way in May. For Aston Martin Racing President David King and the team, the next step is the top step! The ADAC 24H race takes place over the 10-14 May.